We manufacture complete lad set up as per bis standards. We are Being a customer focused organization, we are engaged in manufacturing and supplying a wide assortment of Lab Instruments. These instruments are manufactured under the close supervision of experienced and qualified professionals. High-grade material that is sourced from reliable vendors of market is used in the manufacturing process. Furthermore, we customize these products as per customers requirements. 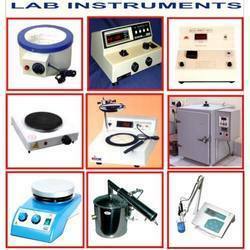 Looking for BIS Standard Lab Equipment ?